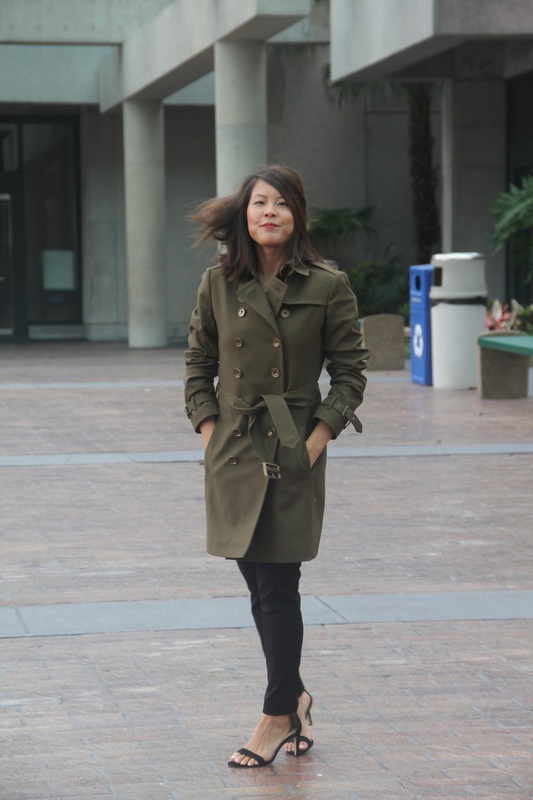 Let's talk trench coats. When I think of someone wearing this all-time classic, I think effortless, put-together, chic, and dare I say it, powerful. It makes you feel these things and when you dress it up or dress it down, it's one of those transitional pieces that just works anytime, anywhere, no matter what. It's a wardrobe staple you need in your closet. 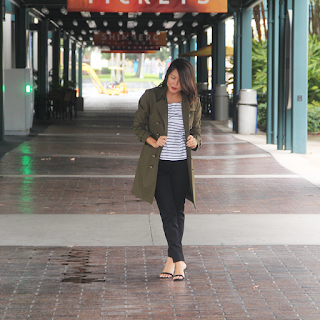 You can find so many great trenches these days, but if you ask me, nothing beats a classic Burberry trench. And for years I had been on the hunt for the perfect match, trying on every masterpiece I could get my hands on. While I loved all their classic stones and honey hues, there was no way I could say no to this beautiful olive color. I mean, besides looking great against my skin tone, I felt pretty good wearing it! 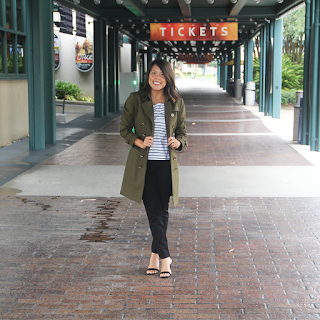 With Fall in the air for most, I thought I would show you guys an OOTD for the days some light layering is needed. 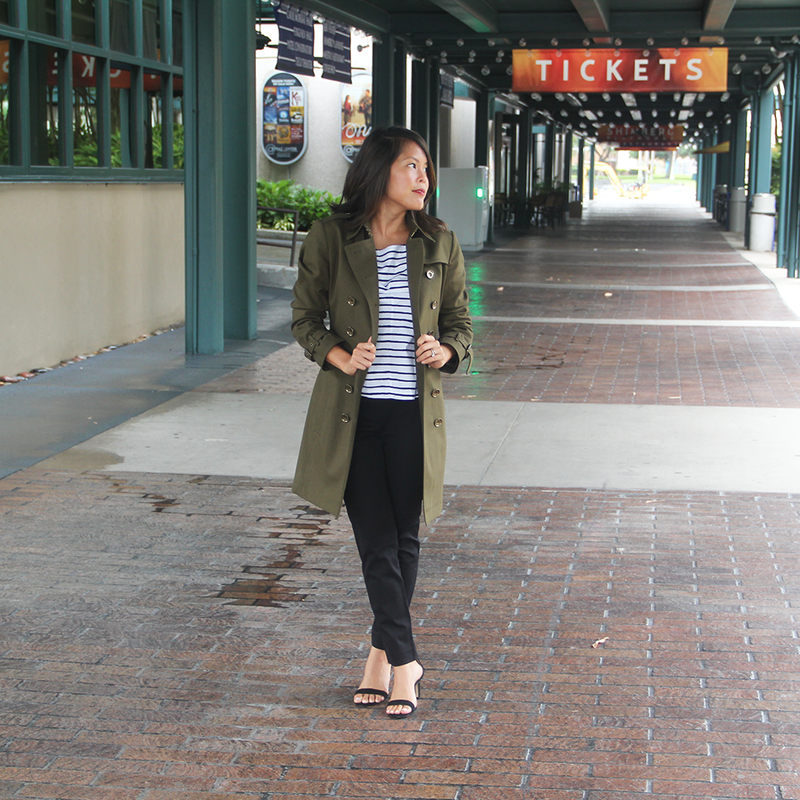 I grabbed this striped top, paired it with a black ankle pant and it worked perfectly. Depending on the weather and your style, you can really play up any shoe, but you can't go wrong with a simple black sandal. Finish the look off with a red lip and you're good to go! Chic, effortless...if only it were a brisk 68 degree day :) You can say it's hard to rock layers in Florida, but when you've got this timeless beauty in your closet, you make it work. What are your favorite classic looks?